Wax:Natural Soy wax candles are made of all natural compounds that release NO toxins when burning.Any color of wax are available. 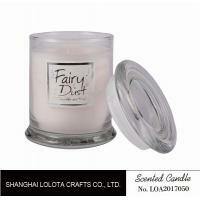 Clean-burning with no petro soot emissions Soy wax burns an average of 25% to 50% longer than paraffin wax. 2. Our highly creative team releases around 10-50new products every week to satisfy market demands. 3. We need to charge the samples and shipping fee at our first cooperation. 4. We will supply you the lowest price and safe door to door Express service. 5. If you are our old customer, you will get our new designs at first time and for free, your individual request will be considered. 3. Tracking Number will offer you immediately after delivery. 4. Shipping cost depends on the shipping method, product quantity, weight, carton size and your area. Delivery Time Big order: 15-30day after sample approval. 2.30% deposit and balance 70% paid before shipment. Other Service We can offer the OEM/ODM/Drop shipping/Agent wanted service. 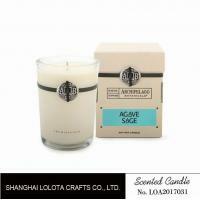 Cost: We have two our own two factories in Zhejiang province and one is producing scented candles, another is producing reed diffusers. So we can offer the best price and best products directly. Capacity: Our annual production capacity is over 200000 pieces goods for one month,we can meet the needs of different customers with different purchase quantity. Service: We focus on developing high-quality products for top-end markets.Our products are in line with international standards, and are mainly exported to Europe, America, Australia and other destinations around the world. Shipment: We are not far away from the Shanghai Port, it is very convenient and efficient to ship goods to any other countries. 7. What kind of wax are you using? 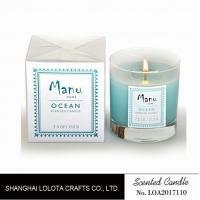 We are using 100% soy wax. 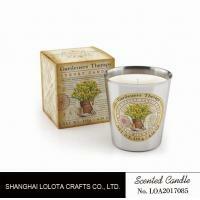 Soy wax is a renewable, environmentally preferable alternative to replace non-renewable , petroleum-based paraffin wax. 8. How many scents that I can choose?